No food and drinks are permitted in CPTC libraries. Cell phone conversations are prohibited. Please silence your phone when you enter the library, and step outside for conversations. No children under age 16 (who are not CPTC students) are allowed on CPTC campuses, and that includes the library. Please keep noise to a minimum. Be courteous and respectful of other students studying in the library. Please use the study rooms for group study. 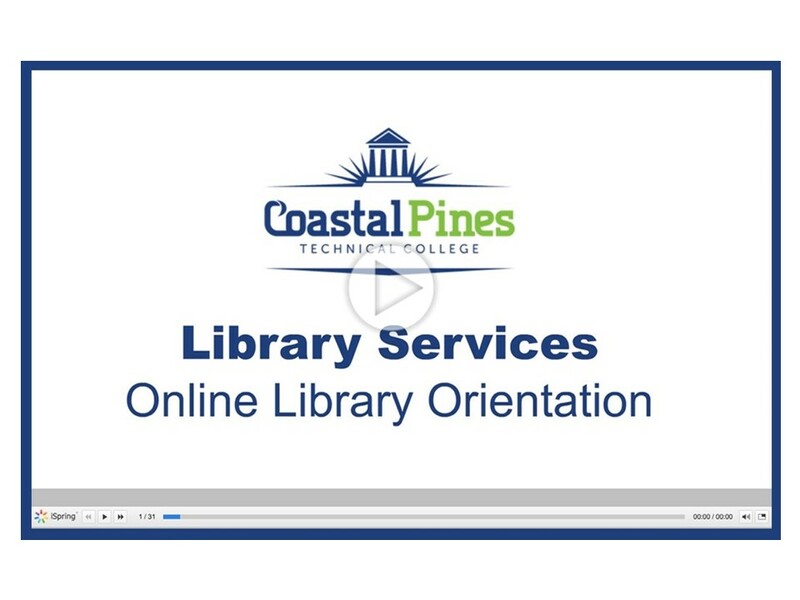 Begin the Online Library Orientation. Group study rooms may be reserved by CPTC students, faculty and staff for two consecutive hours, once per day. A group is two or more people. Study rooms are located in CPTC libraries at the Golden Isles, Jesup and Waycross sites. Group study rooms are kept open for anyone needing a study space. However, priority will be given to CPTC students, staff, and faculty who have reservations. When you reserve a room, you will receive a confirmation email at your CPTC email address. Print your confirmation and bring it with you to claim your space. Printers in CPTC libraries may be accessed with your computer log-in. Funds come from your student account. Learn more. Computers are available to CPTC students. Log on with your e-mail address and your password. Ask a librarian for help with logging on for the first time or if you've forgotten your password. Learn more. Headphones may be checked out for in-library use. Bring your CPTC ID to register for check-out privileges.